As writers, sometimes our well of ideas seems to go dry and we need fresh inspiration for new stories, but the solution may be as easy as flipping through your own photo albums. Join short story writer, Angela Mitchell, as she talks about the art of using personal memory (or someone else’s memory) as a springboard for your own, original short stories. Bring paper and pen (or a laptop) and be prepared to churn out story starts and character descriptions, as well as identifying the essential conflict in your narrative, during this fun and interactive workshop. Held from 10 a.m. to noon, Nov. 5, at Kirkwood Community Center, 111 S. Geyer Rd., Kirkwood, Mo., the workshop is free to St. Louis Writers Guild members; $5 for nonmembers. Angela Mitchell's stories have appeared in literary journals and magazines, including Colorado Review, New South, Carve, Midwestern Gothic, and others. Her story, “Animal Lovers,” was the winner of the 2009 Nelligan Prize from Colorado Review; it was given special mention in The Pushcart Prize XXXV, and listed as one of thirty “Distinguished Stories” in the inaugural issue of New Stories from the Midwest. In 2011, the Riverfront Times honored her as a MasterMind recipient for her work in the literary arts. Recently, she attended the Sewanee Writers’ Conference as a Tennessee Williams Scholar. 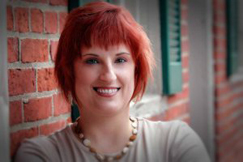 Angela holds an MFA in Creative Writing from the University of Missouri-St. Louis, as well as an M.Ed. in Higher Education from the University of Arkansas, and a B.A. in English from the University of New Orleans. She is the current director of the St. Louis Writers Workshop. Check out the submission guidelines for a St. Louis-based esoteric online journal, MYSTIC ILLUMINATIONS, which features fiction, nonfiction and poetry about "exploring the magic through words." Issue Three is a special all-poetry edition. MYSTIC ILLUMINATIONS is published by Mystic Salon, which welcomes you on a journey into magical, mystical and earth-based spiritual practices. 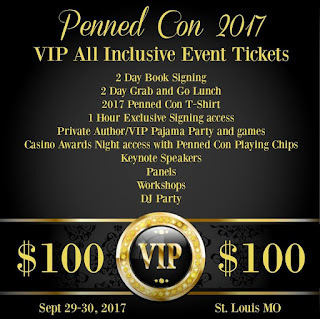 Win 2 VIP tickets/hotel for Penned Con! NOTE: The St. Louis Writers Guild was one of the sponsors of this year's Penned Con! 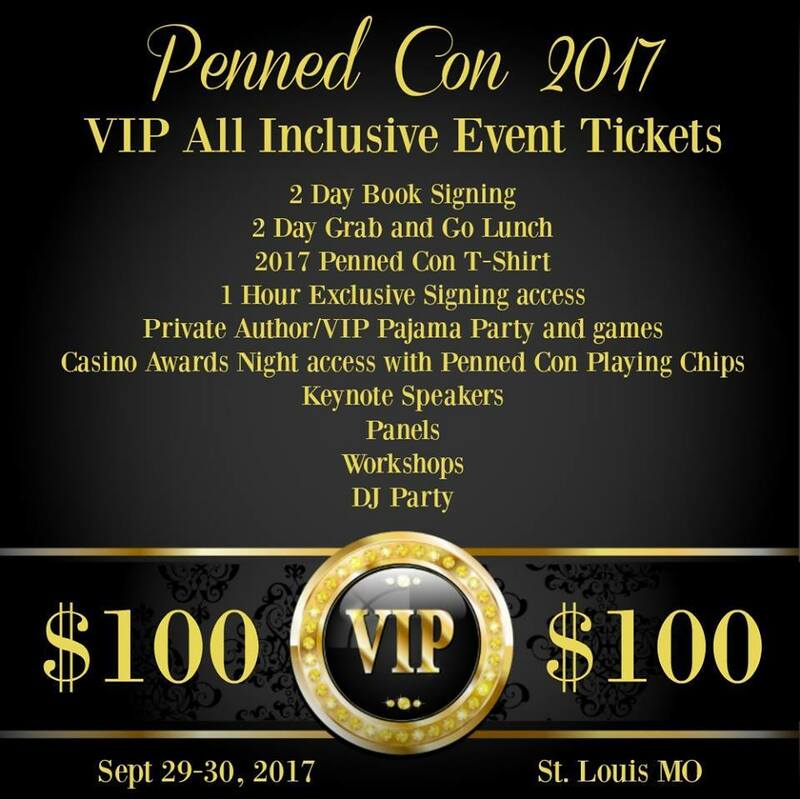 Penned Con is giving away TWO (2) VIP Tickets to the 2017 event along with TWO (2) nights stay at the hotel where Penned Con is hosted. There will be ONE (1) winner of this awesome package and we will announce them on October 28th 2016. 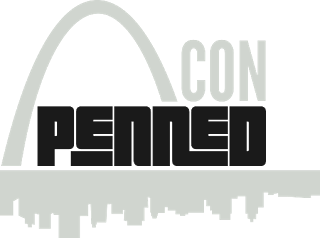 To participate you must LIKE, SHARE & TAG at least FIVE (5) friends in the ORIGINAL POST on the Penned Con St. Louis Facebook page. *The winner will be responsible for all travel expenses to and from the event and be required to provide the hotel with a credit card for any incidentals. **You must be at least 21 years of age to participate. This convention brings authors and readers together each year for a full two-day event that will create great memories and opportunities to meet all of your fangirl/fanboy needs. Penned Con is designed to give readers plenty of time to hang out with your favorite authors in a laid back setting, an opportunity to learn from bestselling authors, discover new to you books, and to have FUN! Casino night themed Awards Celebration and more! 100% of the profits from Penned Con go to Action for Autism a 501 (c) (3) charitable organization based in St. Louis who works to provide the therapies and schooling needs to local autistic children. Your attendance at Penned Con helps to change kids' lives. Ever wanted to try your hand at historical fiction but didn't know where to start? On Oct. 1, award-winning historical fiction author Nicole Evelina will show you it's not as intimidating as it may seem, even if you're not a fan of research (though it helps if you are). Held from 10 a.m. to noon at Kirkwood Community Center, 111 S. Geyer Rd., Kirkwood, Mo., her workshop is free to St. Louis Writers Guild members; $5 for nonmembers. Nicole will cover research methods and sources, how research informs plot, how to handle characterization in other time periods, how to bring the past to life, mistakes to avoid, and more. Whether you're just dipping a toe in the historical waters or have already published in this genre, you're sure to learn something new. A multi-award-winning historical fiction and romantic comedy writer, Nicole’s most recent novel, Madame Presidentess, is a historical novel about Victoria Woodhull, America's first female Presidential candidate. It won first place in the Women’s US History category of the 2015 Chaucer Awards for Historical Fiction. Her debut novel, Daughter of Destiny, the first book of an Arthurian legend trilogy that tells Guinevere’s life story from her point of view, was named Book of the Year by Chanticleer Reviews, took the Grand Prize in the 2015 Chatelaine Awards for Women’s Fiction/Romance, won a Gold Medal in the fantasy category in the Next Generation Indie Book Awards, and was short-listed for the Chaucer Award for Historical Fiction. Been Searching for You, her contemporary romantic comedy, won the 2015 Romance Writers of America (RWA) Great Expectations and Golden Rose contests. 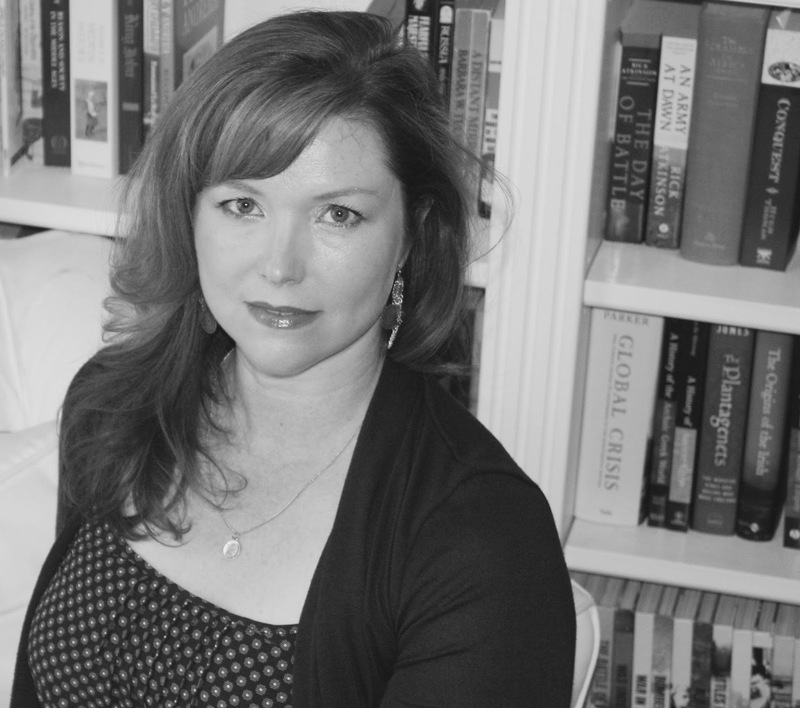 Nicole’s writing has appeared in The Huffington Post, The Philadelphia Inquirer, The Independent Journal, Curve Magazine, and numerous historical publications. She is one of only six authors who completed a week-long writing intensive taught by #1 New York Times bestselling author Deborah Harkness. Her website/blog is http://nicoleevelina.com, and she can be found on Twitter, Pinterest, Facebook, and Instagram. Her email address is nicole.evelina@att.net.